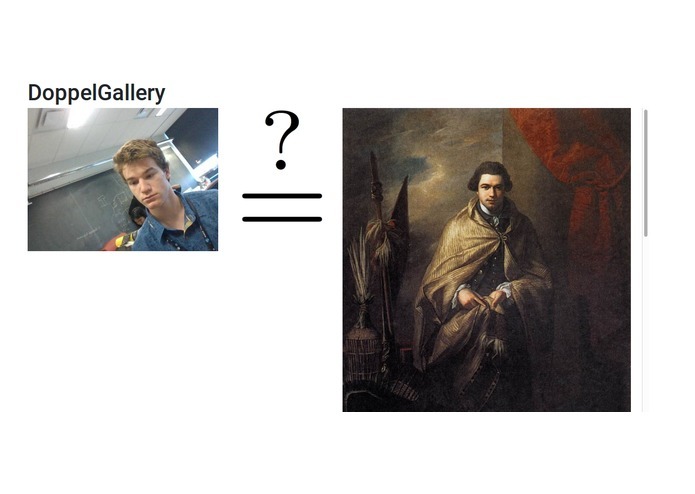 We saw a picture on Reddit who looked very similar to a person in a painting. We believed that we could implement a web app to automate this. 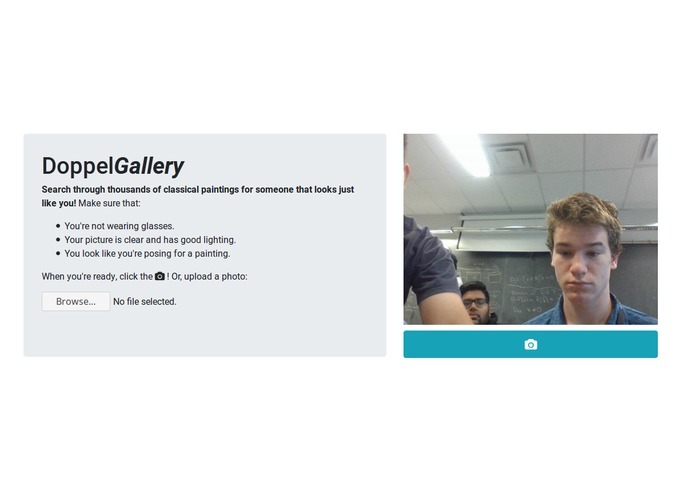 DoppelGallery is a facial feature recognition web app that attempts to find faces that look similar to yours from open source art databases online. The facial recognition software is based on an open source python library called Openfaces. In order to successfully build and use it, we ran the software in a virtual machine called docker. The web interface backend interacts with Python through Tornado. We also used CockroachDB to store metadata for each painting, and how similar each painting was (for reinforcement learning). Learning how to use docker was relatively challenging, and while the Openfaces software does the majority of the facial recognition work, effectively implementing its python interface was very time-consuming. Furthermore, since we are attempting to find your Doppelganger, we needed a large image database. Associated with this were long download times and image processing. ML is pretty hard. Getting data can be even harder. Though the app is a novelty, the underlying technology has many useful applications in real life as a reverse face search (like Google's reverse image search). I worked on the backend, specifically working with CockroachDB to store image data for model training and the web app. Worked with OpenFace to convert features of each face into data. Set up app in Docker on AWS. Wrote web app and its front end. Worked on implementation of backend image processing library in docker vm.